One of the beauties of an aromatherapy massage is that it is such a relaxing and natural treatment, yet people who’ve experienced it often report powerful effects on their wellbeing and health. Aromatherapy involves the use of essential oils extracted from plants, flowers, shrubs and trees. These have different therapeutic properties which range from alleviating anxiety to warding off diseases. There is a long history of using aromatic oils to treat different conditions that goes back to ancient China as well as classical Greece and Rome. Some religions still burn incense at the altar and during church services today. Essential oils are very versatile. 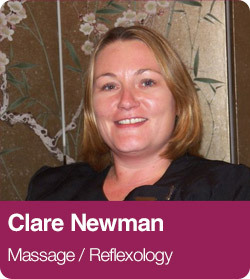 An experienced aromatherapist blends different therapeutic grade oils to produce varying effects and levels of potency. These are then applied with a full body massage, allowing you to drift into oblivion whilst the oils soothe calm and revitalise you. With an aromatherapy massage, the hands assist the oils to work their magic. And each massage is completely individual – tailored to your needs. Your physical and emotional health are both taken into account before selecting the most appropriate oils to produce a beneficial effect. Aromatherapy can benefit many people, and it always starts with a consultation so that a full holistic picture can be acquired of your physical and emotional health. The next step is the selection of the most appropriate oils for you, all designed to produce the right beneficial effect. This is a therapy that is personally tailored in every way.